Last year around this time, about a foot of snow fell in Jerusalem. The streets were silent and the city was shut down. It was Rosh Hodesh Adar, the first day of the month of Adar. Every month, I would celebrate Rosh Hodesh with Women of the Wall. My roommate and I looked out our window to the snow covered streets and said, well, “Let’s do it.” We suited up in hats and scarves, puffy coats, and snow boots and began the forty-five minute walk to the Kotel on slippery Jerusalem stone streets. This was a different Kotel than I had ever seen: The plaza was deserted. There were no shtreimel-topped men pushing through crowds, no Modern Orthodox girls shuckling in the women’s section before school, no Russian Orthodox Christian groups wrapped in colorful scarves. There was the Women of the Wall group, the snowman we built to join our morning minyan, and a few curious Israelis who had come to watch what was happening. As we began our prayer, two men entered the Kotel Plaza singing and dancing through the snow: Mi she mi she mi she mi she, mi she mi she mi she mi she, mi she nichnas Adar! Over and over they sang this line from the Talmud—“Whoever enters the month of Adar…,” and they eventually reached the next line, completing the song with “whoever enters the month of Adar grows in happiness.” This song is sung throughout the month of Adar, particularly on Rosh Hodesh, speaking to the concept that Adar is a month of happiness. That morning was a once-in-a-lifetime experience, standing face to face with a snowy Kotel, praying with a group of women in the city that I love. But as I watched these men dance, I wasn’t sold. The calendar changes from the month of Shevat to the month of Adar, and all of the sudden I’m supposed to be happier than I was yesterday? It’s a beautiful idea, that we can all be happy together as we follow the winding emotional path that is the Jewish calendar, but how can I simply snap my fingers and be completely, undoubtedly, wholeheartedly happy? In my first grade classroom at Rockwern Academy, there is a young girl whose family moved to Cincinnati from Israel this fall. At six years old, she left the land and language that she knew, left her grandparents and her cousins and her friends to move half way across the world. Her new classmates were warm and accepting, going out of their way to welcome her into their school community. 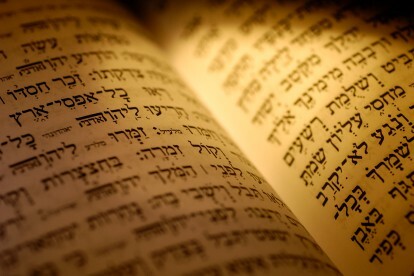 They would come and grab her hand, holding it as they guided her to their next class or to the carpet to listen to the story of the weekly Torah portion and the teacher would try to remember to translate to Hebrew for her when she could. But for the first few months of the school year, she sat in her seat, head in her hand as she rested her elbow on the desk. She never spoke, at most giving a head nod when I would speak to her in Hebrew. Her teacher told me that she was out of ideas, she didn’t know what else to do to make this sad little girl a little less miserable. A few weeks later, when I came into school, she slowly but deliberately approached me. Standing right in front of me, the corners of her mouth began to rise, and I saw the first smile I had seen from her all year. In her sweet little voice, she let out a little “Shalom, boker tov”; it was as if she were a different kid. As we enter Adar, we are supposed to be happy, but I’m not certain it works that way. We are happy when we choose to be happy, when the moment comes that we decide we’re ready to put stresses, worries, and problems behind and to choose happiness. Whether a scared six-year-old in a new place, a twenty-something trying to get through a tough breakup, or a parent wallowing in the loss of a job and the pressures of a family, we cannot move forward until we decide we’re ready. We cannot be happy until we allow ourselves to be. Thinking back to that snowy Kotel plaza, I can hear those words from the Talmud flowing from the mouths of the dancing men: “Whoever enters Adar grows in happiness.” I would like to see these words as more of a wish than a requirement, a hope rather than a command. As we enter the month of Adar, my hope is that we all will find ourselves ready to choose happiness. Jordy Cohen is is serving as the TJF Fellow at Rockwern Academy.